No, I’m not talking Yankees or those pesky French-Canadians. The invaders I’m speaking about are rare northern birds that are moving further south than usual, including the Ozarks. I’ve been having some fun trying to find these rarities, and some of these we can’t even call rare this winter. During the past month Missouri has had multiple reports of sightings of at least these birds: Common Redpoll, Pine Siskin, Red-breasted Nuthatch, Red Crossbill, White-winged Crossbill and Northern Shrike. I have been able to photograph all these with the exception of the WWCB and CORE, but it looks as though I may have ample time to find these species yet. 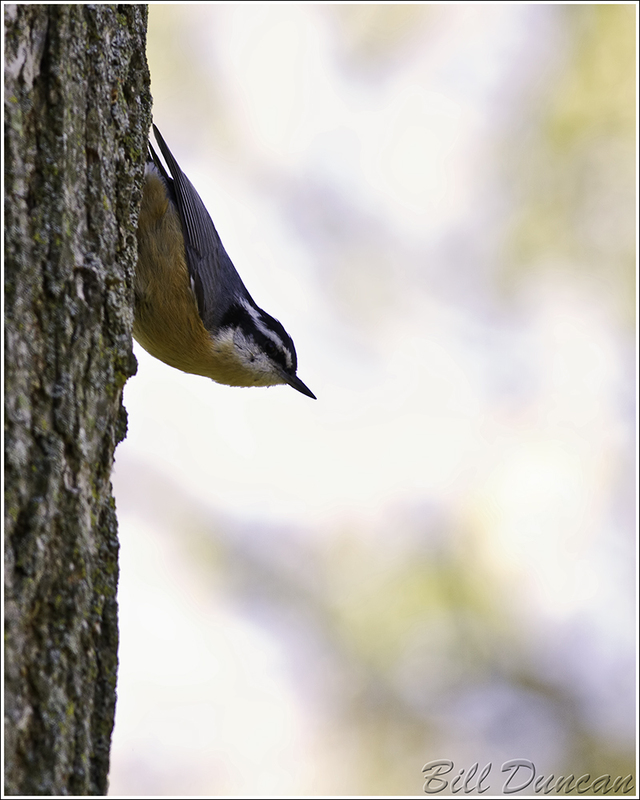 In the five or six years I have been bird watching I can count on one hand how many times I’ve been able to see a Red-breasted Nuthatch. In the past month or two I’ve literally been able to spot more than 100 of these birds. It has been fun training my ear to discern the differences between the nasal call notes of the WBNH and the more nasal notes of the RBNH. From what I’ve heard and read the irruption southward of this species happens periodically every few years or so. 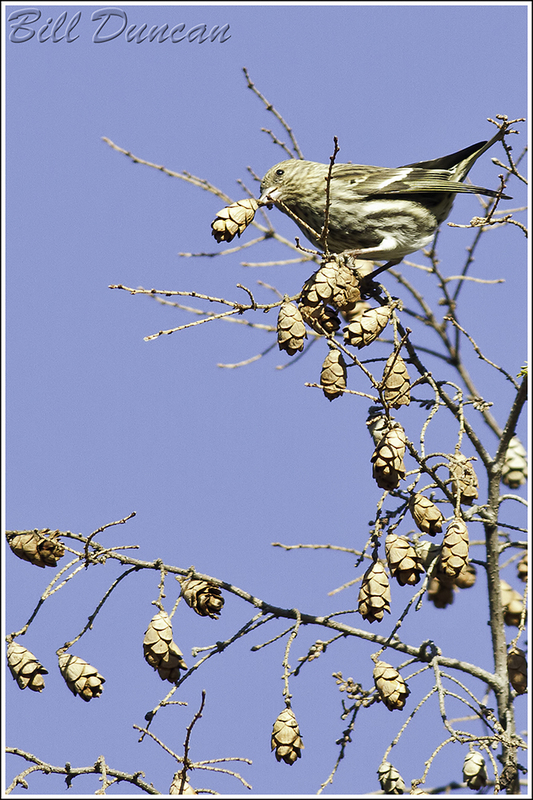 Pine Siskins can also be found over most of Missouri right now. Almost always found in flocks ranging from six to thirty or more birds, these guys typically prefer to forage at the top of branches of seed-bearing trees, like this hemlock. Similar to the RBNH, this species is well known to have irruption years where they plunge southward in great numbers. 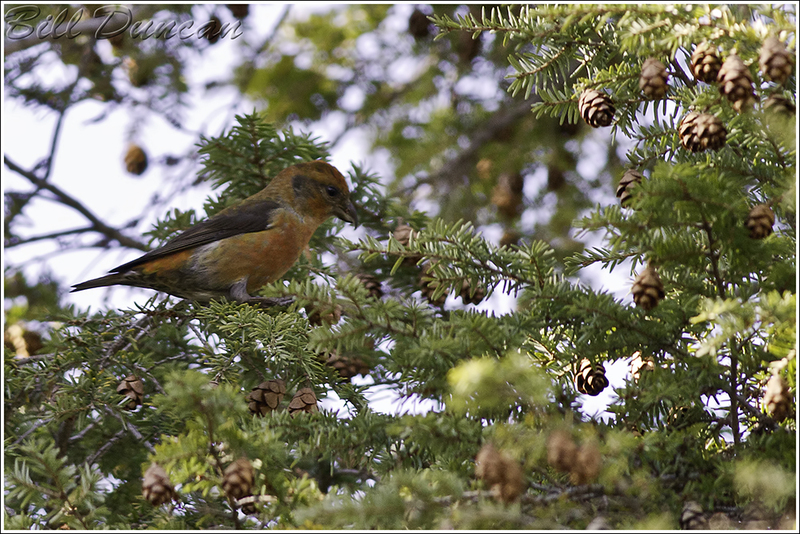 Not only was this the first photograph of a Red Crossbill I was able to get, but it was a lifer for me as well. This was definitely an unexpected and exciting development in the StL area this year. 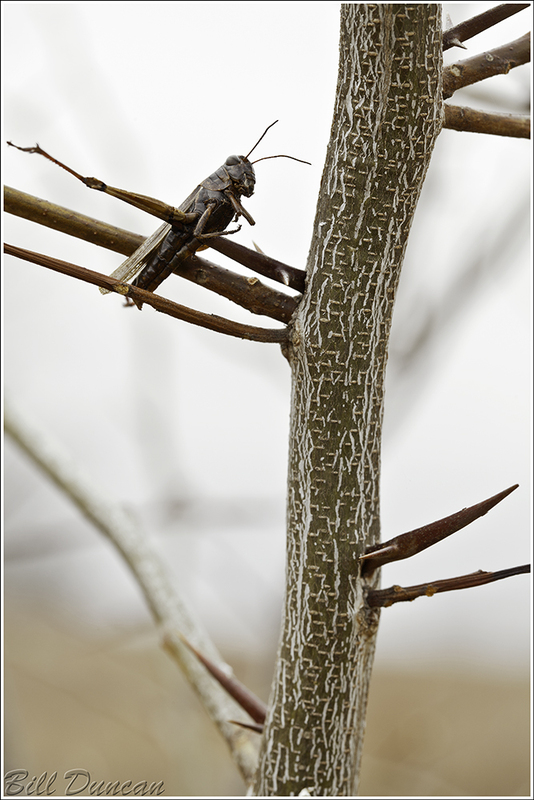 These guys are feeding mainly on Hemlocks and Sweetgums in selected parks where these trees are found around the metropolitan area. You can just make out the characteristic crossed-bills in this photo, apparent adaptations for better removing seeds from the cones of tree species like hemlocks. Like I mentioned earlier, I have yet to photograph the WWCR, but I did get to see one lone individual briefly. The next and final bird in this post is one of those special and unusual species for my tenure as a birder. 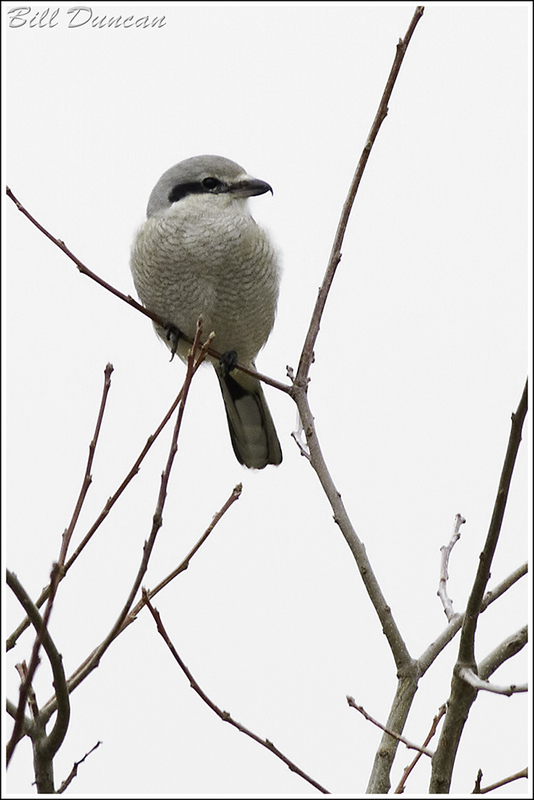 The Northern Shrike is apparently much more uncommon in Missouri than the Loggerhead Shrike. I believe this is the forth NOSH I have seen and I have yet to see a LOSH. It seems that the NOSH might find something it likes around the StL area, where they seem to have been spotted more frequently. For any “non-birder” reading this, if you do not know about the Shrikes, look them up now. These birds are too cool for school and I love watching them. Check out this interesting link for more information.